Obsessively detailed treatment of the director of The Avengers and creator of Buffy the Vampire Slayer, Firefly and other TV series. 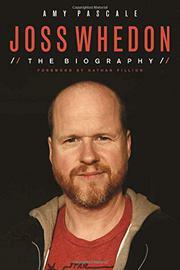 Debut nonfiction author Pascale, a director at MTV, delivers a biography of Whedon that caters to the massive worldwide community of sci-fi obsessives who won’t settle for anything less than exhaustive details on the object of their obsession. The author takes readers through the auteur's privileged upbringing—his father penned lyrics for Broadway shows and also wrote for The Electric Company and Golden Girls—and formative educational years spent first in an English boarding school and then studying film at prestigious Wesleyan University, where he cut his teeth as both a teacher and a writer/director. After a stint as a video clerk, Whedon’s break as a writer came through his father’s industry connections; eventually, he landed a job as a writer on Roseanne in the early 1990s; not long after, he sold the screenplay for the original movie version of Buffy the Vampire Slayer. But Whedon would bounce around from show to show as a behind-the-scenes writer and script doctor until his proverbial big break came in the mid-1990s when his Buffy character was refined and recast as a weekly TV series on the WB network. That series lasted almost seven years and accumulated an intense, devoted following. Pascale totally immerses the reader in the “Whedonverse,” a sort of neo-feminist supernatural world grounded in everyday human dilemmas. The author pens worshipful prose throughout, extolling Whedon’s never-ending quest for complete control over his work, and she occasionally goes overboard: For example, does even the most obsessive fan really care what brand of pen and notepad Whedon prefers? By the end of the book, Pascale has adequately familiarized us with the creative commercial artist side of Whedon; however, the actual human being behind all the demons and vampires is never satisfactorily fleshed out. An informative and readable book that often resembles a long PR piece.